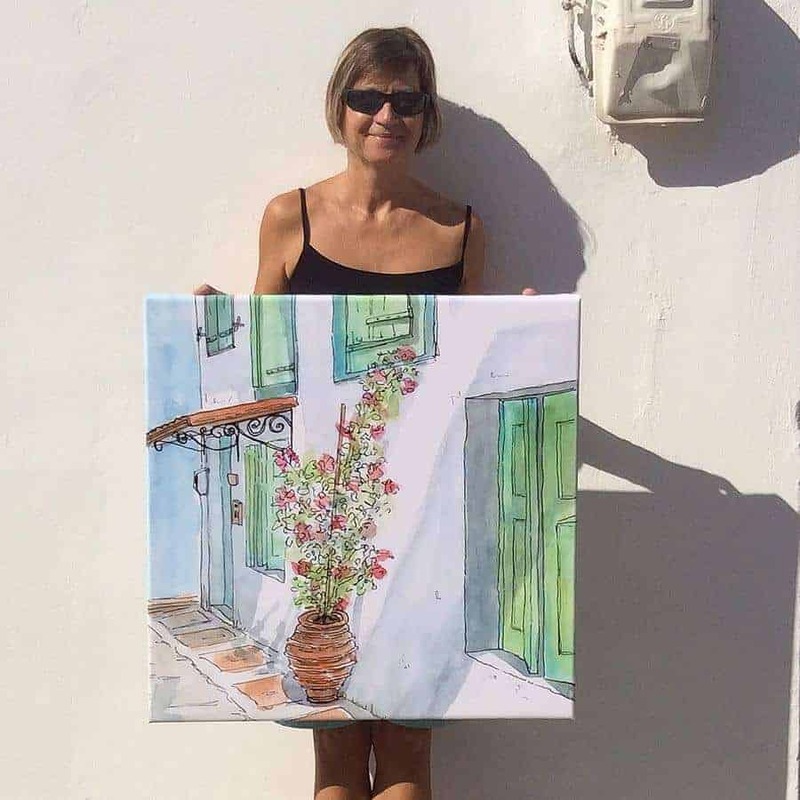 My Mediterranean inspired art is all about long, hot summer days and a slower, enduringly traditional way of life. 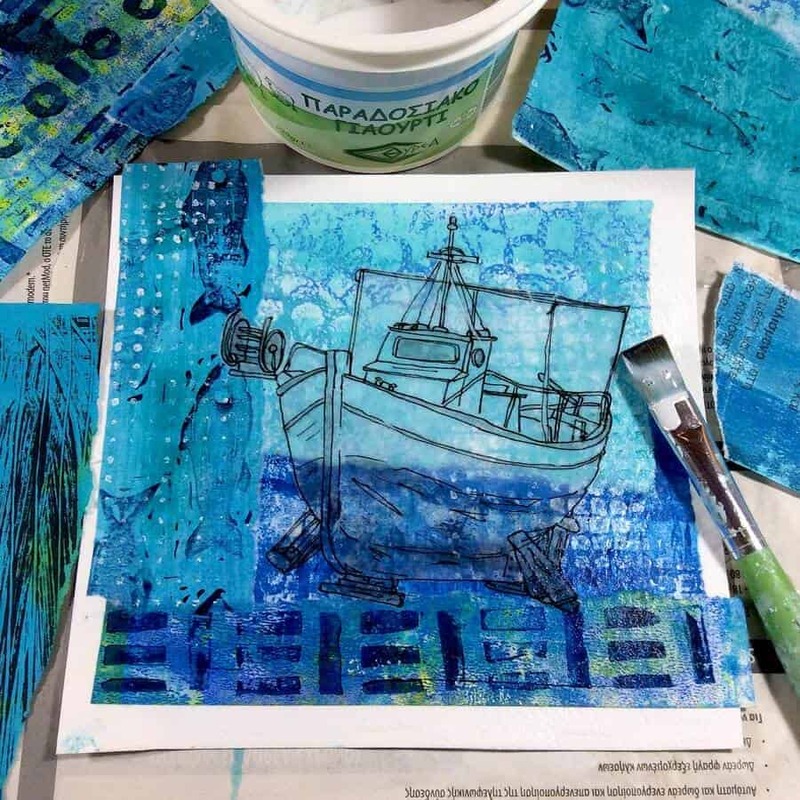 Captured between layers of paper, wax, text and paint, on location sketches tell the story of days gone by and evoke distant memories of travels in the Greek Islands and the Mediterranean. Whether you are looking for a special piece of original artwork; an open edition paper print; a ready to hang canvas reproduction, or an un-stretched canvas print, I hope that you will find something which speaks to you here.